Beat em ups, fighters and shoot em ups. Who doesn't love those retro styled genres playing with friends and kicking or blasting their way through many different enemies? 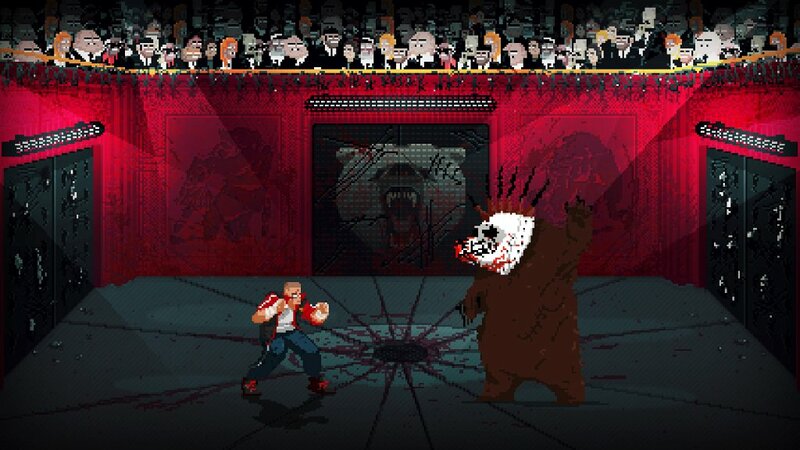 Well if you do and remember playing them in the Arcades, then ' Mother Russia Bleeds ' , which is a very gory and brutal pixelated brawler developed by Le Cartel and published by Devolver Digital, is just the game for you! Set in an alternate U.S.S.R, the story centers on a desperate crew of imprisoned street fighters that must overcome an oppressive criminal authority and crippling drug addictions through any means necessary. You will fight on your own, or with friends against many different enemies, using multiple moves, that harks back to the days of the rather gory Mortal Kombat. Which basically means a lot of blood and body parts flying about the screen. A worthy looking game indeed, with a release date of 2016, and coming to PC, MAC and Linux!